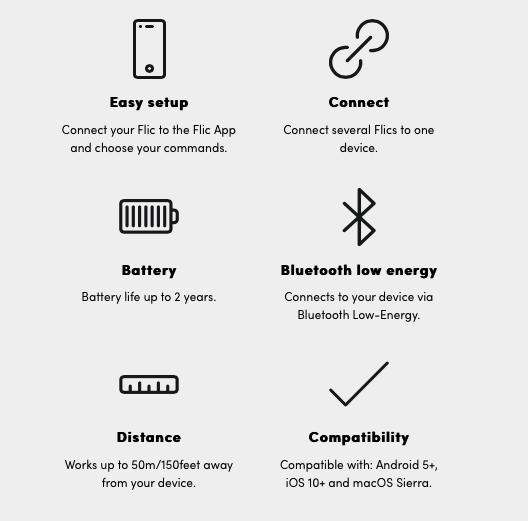 Smart contract pioneer, Clause, has developed a template self-executing contract that allows users to connect to a small and low cost IoT device. This will allow people to create real world, smart contract and IoT connected systems for as little as $25. The company’s CTO, Dan Selman, explained that the set-up they’ve developed (i.e. their contract, plus an IoT ‘button’), allows users to: register deliveries; start and stop timers; register departure and arrival; count packages arrived; count number of jobs performed; indicate breakages; and send notifications. 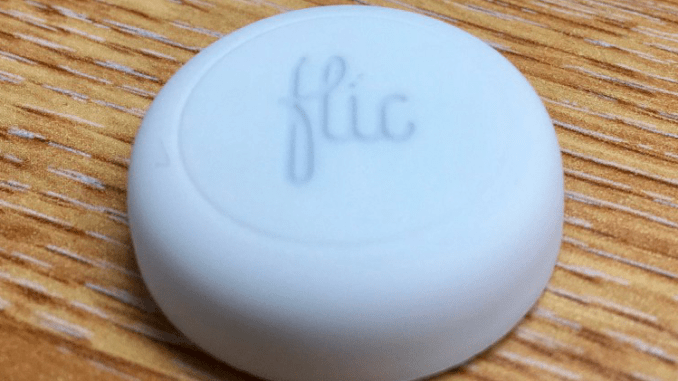 One of the IoT ‘buttons’ they have used in their experiments is that of Flic, which is a couple of centimetres across, (see below). 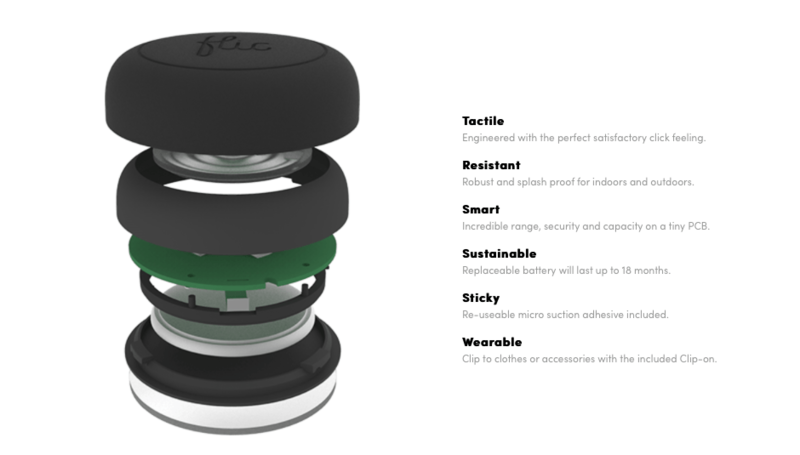 There are also other models out there, but this one is on the market for around $25 per button. Meanwhile the smart contract templates at present appear to be open source. So, in theory, you could get something up and running for very little cost. I.e. 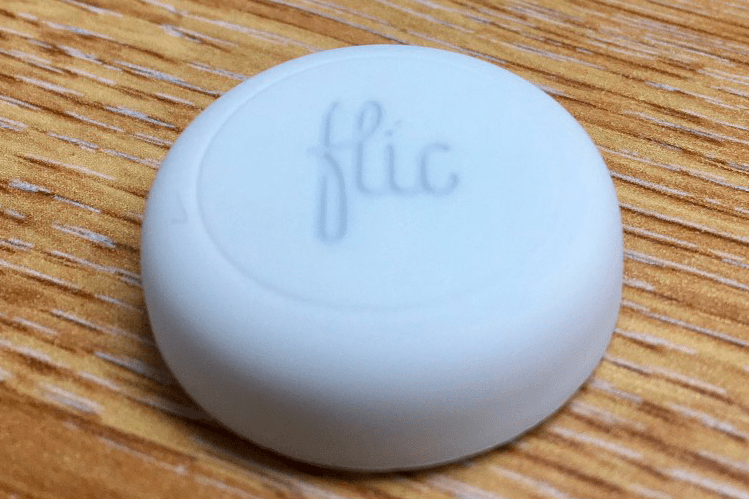 you don’t have to swipe, you can just press the little button with your finger, and then it sends a signal to your phone, which sends an input to your smart contract, which then activates any of the programmed clauses within it to then execute. Artificial Lawyer has to say this is a very neat little gadget and looks like a lot of fun. It’s not quite clear how lawyers would make use of them inside a law firm, but it’s easy to see how legal work could connect to their use, e.g. 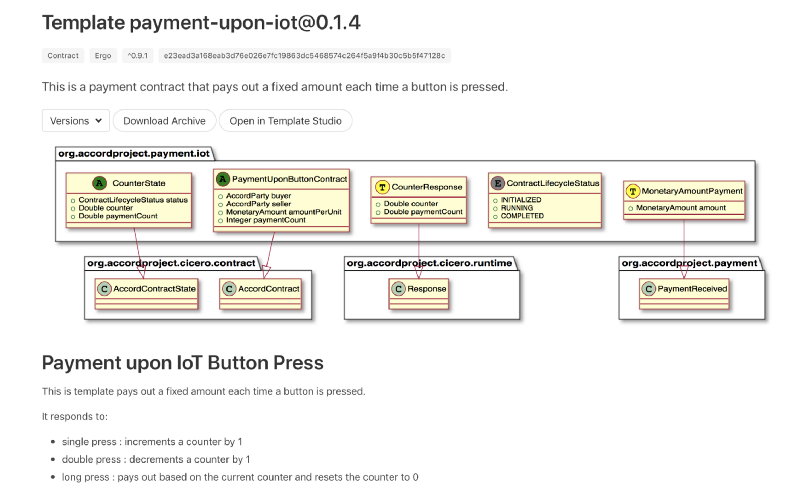 a logistics company client wants to use them for confirming deliveries and they want to use smart contracts in conjunction with these IoT devices, so they will then need some help getting all of this done in a legally correct way. For its parts Clause has created a template using the Cicero open source language they developed with the Accord project, which they say means ‘you don’t need to do any programming’ (see map of template below). So, there you go. That’s it in a nutshell. One thing Clause needs to consider though is how you define ‘programming’ and ‘easy to use’. If you’re an experienced computer coder, using one of their templates is no doubt easy. But it seems highly likely that people who are not coders will not find this intuitive, in part because they will have never done something like this before. And that’s one of the central problems with some of the tech around smart contracts, as far as Artificial Lawyer can see. No doubt, in time, this will change. But one can just imagine a lawyer sitting at their desk with a template on their computer screen and very soon getting on the phone to the head of IT to come and help. I.e. we are not yet at the ‘iPhone ease of use’ level. One day we will be, but right now, we are not. Is this an important step in any case? Yes. One of Clause’s first ever examples of a use case when they launched a couple of years ago was using an IoT device, (although in that case it also involved a temperature gauge). Now, they are putting smart contract templates out into the market for anyone to use with an IoT device that you can get for a relatively small price. It’s another one of those tantalising….’but if they used it….then this would happen…’ type of scenarios. That said, it’s definitely realistic to see some larger companies which have both legal and technical teams to put this together and deploy it in the real world, operating off a smart contract developed by Clause. Either way, it’s another important step that shows Clause’s initial thinking about the uses of smart contracts has now been realised in part. Now all we is need is for people to start using them.